Da Nang Department of Culture, Sport and Tourism announced a lot of funny and well-prepared programs for Christmas 2014 and New Year 2015. Accordingly, in December 31th 2014, music program “I love Danang” will be held at 29-3 Square; in December 30th 2014, the street music performing program will be tool place on the streets along Han River; as well as the Christmas Film Week will be held from December 24th 2014 to January 02nd 2015. Besides, amusement parks and tourism destinations is well-decorated and opened with plenty of interesting activities to serve tourists and local residents. 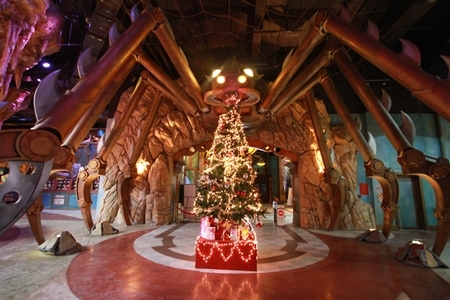 Moreover, if you visit Ba Na Hill at this time, you will have chance to receive a lot of great gifts and free programs. With lightly chill weather, Da Nang is an ideal place to visit on Christmas 2014.